Hi everyone, I’m Jeff Brown, a Creative Director at San Mateo Studio. Dominic Robilliard of Pixelopus recently shared the latest trailer for Concrete Genie, an upcoming game about a boy named Ash who, through the power of creativity, paints his ruined seaside town of Denska back to life. Dom also announced that we are working hard on two very special PlayStation VR modes* included alongside the core Concrete Genie PS4 game at launch. The team and I are super excited to share more about these VR modes with you today. When our Art Director, Dave Smith and I first sat down with Dom to have a look at what he and Pixelopus had created, we knew immediately that this world and its magic could provide some incredible inspiration for a PS VR experience. We wondered, amongst the beautiful art and storytelling of Concrete Genie, what it might feel like to get to know a Genie one-on-one. Where would we go? What kinds of things would we do together? In our first PS VR mode, VR Experience, you’ll follow a curious Genie named Splotch beneath Denska’s ominous lighthouse on a quest to unlock a mysterious power while using your Living Paint in a completely new way. I don’t want to give away too much, but what we came up with is pretty special. We can’t wait for you to try it yourself! But that’s not all! 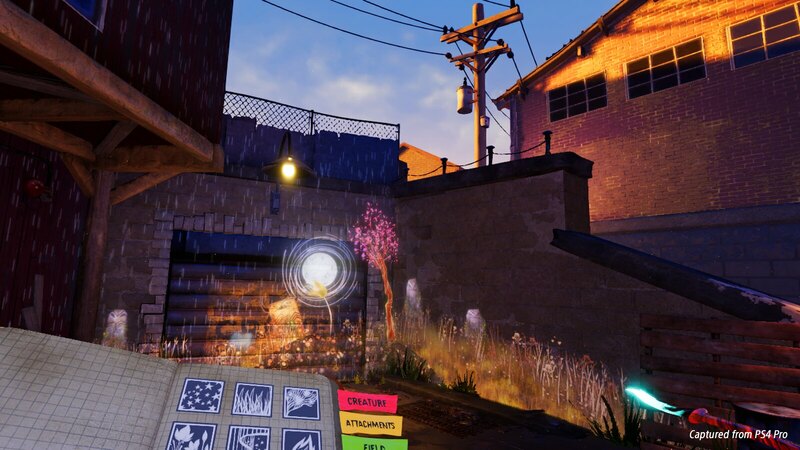 While looking at other possible PS VR modes for the game, everybody had a simple, common desire – to stand in one of Denska’s alleyways, paintbrush in hand, using Living Paint to bring our surroundings to life. A completely immersive, first-person painting experience. This was the springboard for building the first prototype of what would become our Concrete Genie PS VR Free Paint mode** (an immediate favorite around the office). You’ll have the choice between four unique Denska locations where you can play and experiment with all the Living Paint and Genie creation brushes you collect during your Concrete Genie adventures, all with the intuitiveness that the two PlayStation Move Motion controllers provide***. 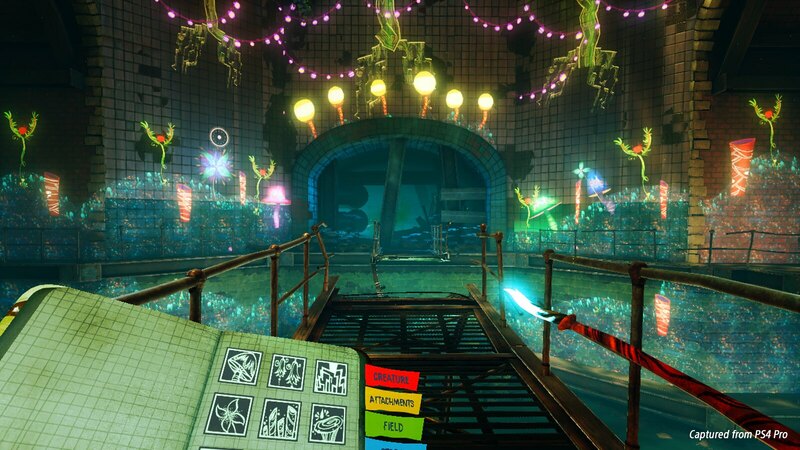 We think our two PS VR modes make a great complement to the world of Concrete Genie, and we love the way things are shaping up. Keep an eye out for more in the coming months, and we can’t wait for you to get your hands on the game later this year! **Players must complete VR Experience in order to unlock VR Free Paint. ***Two PlayStation Move Motion Controllers required for PS VR Modes.